Beston Amusement Equipment Co., Ltd. is an medium-sized paddle boats, electric boats, double deck paddle boats, speedboats, water bicycle, water tricycle manufacturer that combine boat designing, manufacturing with selling. We are aiming at creating, designing and producing all kinds of high-quality water park rides for sale. We always take “clients first, quality first” as our working principle. The structure and appearance of our pedalos are all excellent in this water rides industry. These water boat rides in Beston owns the CE and ISO9001 certificate. We use the high quality materials when producing these boats for our customers. 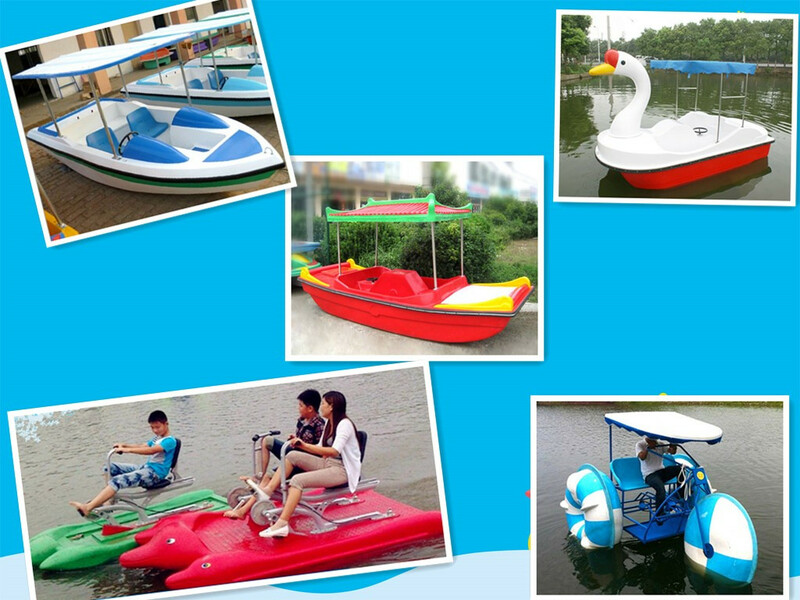 All kinds of paddle boats are available in our factory. Customers could also customize the shape, size and color of these rides. Or we can also provide design for the water rides business, clients show us his space, we will calculate how many rides will the business need. Our paddle boat has been exported to many countries, Australia, New Zealand, Nigeria and other Asia and Africa Countries. Our products has got lots of praises from the old clients for its quality and attractive appearance. Kids and adults all feel satisfied with these boats in the lake, small river or pond in the amusement parks. Some small paddle boats could also be used in the inflatable or ground swimming pools.